Offering all the great features that you expect. 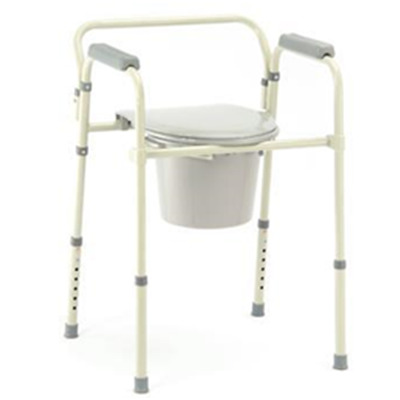 It folds up in seconds for storage or to transport and comes with armrests, angled legs for stability, non-marring rubber tips, anti-rattle collars that reduce noise, snap-on removable back, pail, splash shield and lid. Seat To Floor Height: 16.5"-21.5"